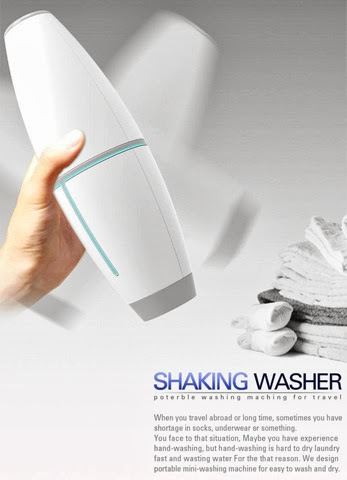 Travelers often face some issues to wash their garments on the go. Be it out of schedule, or lack of resources or no time, whatever may be the reason one cannot comfortably wash their clothes which in turn makes their journey a mess. For them, this Shaking Washer is like the best alternative. Though it may not wash heavy garments, it is suitable for inner wear, socks, hand kerchiefs and others. 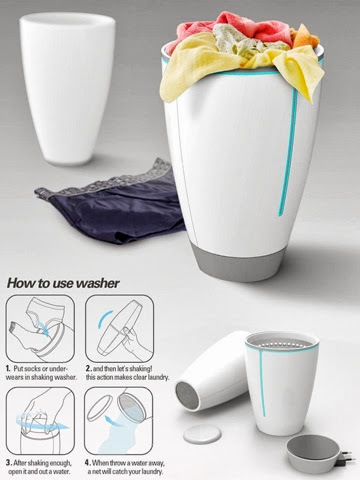 Just add water, put clothes and shake it well for a clean wash. This washer assures you the same cleanliness as normal washing machine. 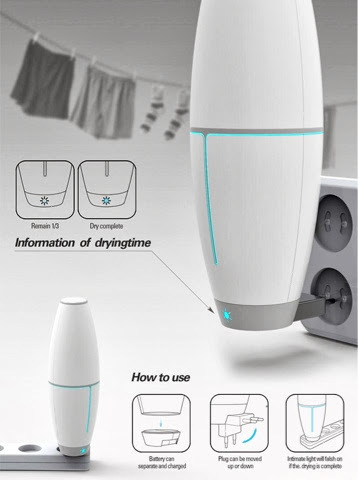 Additionally, you can plug this to a electrical socket to dry them in minutes.